BLACK color creative section tassel beautifully designed front look with two hooks with tiny BLACK pearls and schemed hanging chain. Make a combination with your BLACK dressing for attraction and know people your style. Elegant BLACK alloy and cotton made pendant completed with hanging three schemed color agate beads. .. 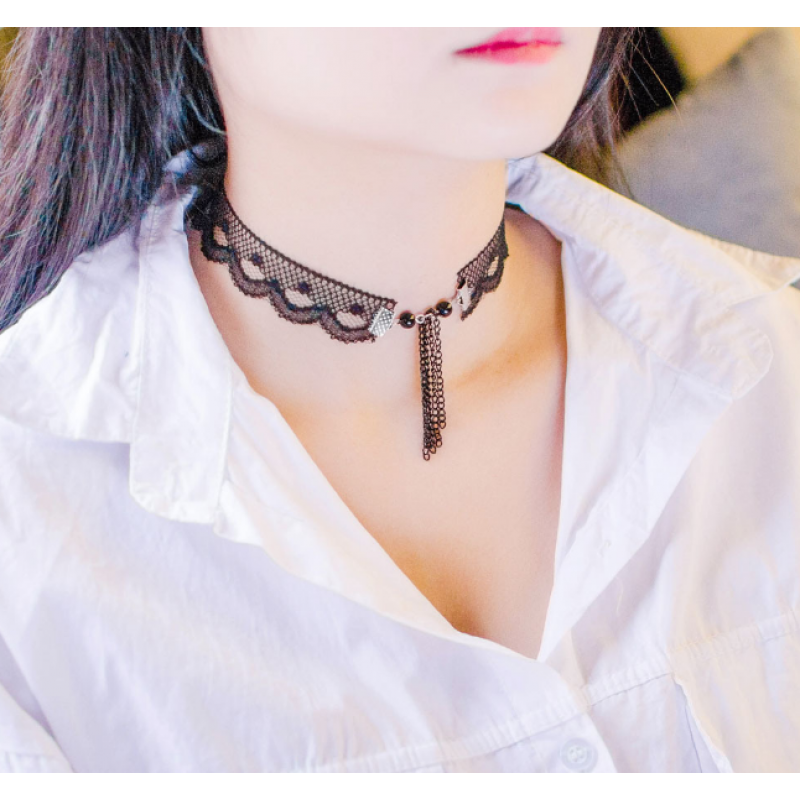 This Gothic style chokers crystal BLACK lace with four hanging double stones necklace choker steampu.. Simple romantic tassel fashion brand double circled velvet sleek design necklace is presented for va..